Get answers to your Microsoft Licensing questions! Check out the newly refreshed Microsoft Volume Licensing website with easy ways to understand all of the licensing agreements that Microsoft offers and uncover what licensing requirements you require for your organization. Follow the Blog, Activate a Product, Learn about Pricing through Microsoft Partners, and understand from A-Z how Microsoft Volume Licensing works. A great resource for you with information that is easy to consume and a website that is super simple to navigate. If you want answers to your questions on Microsoft Volume Licensing, check it out now. 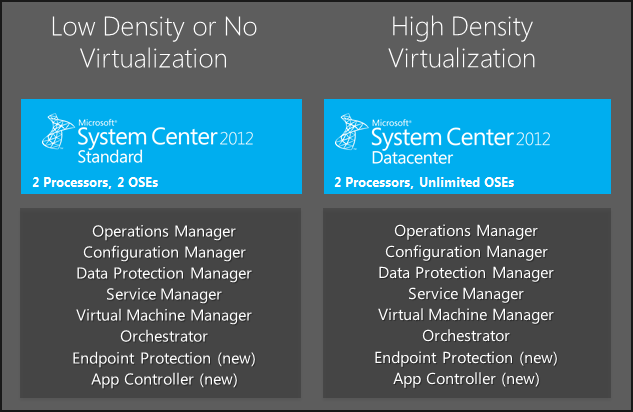 Yesterday, Microsoft announced System Center 2012. I am pleased to see that licensing has been greatly simplified in System Center 2012 without compromising on value and by increasing scalability – more power to the customer! Consistent Capabilities – Every license includes all private cloud features. No more console licenses. Console licenses (with SQL Runtime) are included with the System Center Standard or Datacenter licenses. No more standalone server management licenses. Both Standard & Datacenter Edition are on a processor-based model. 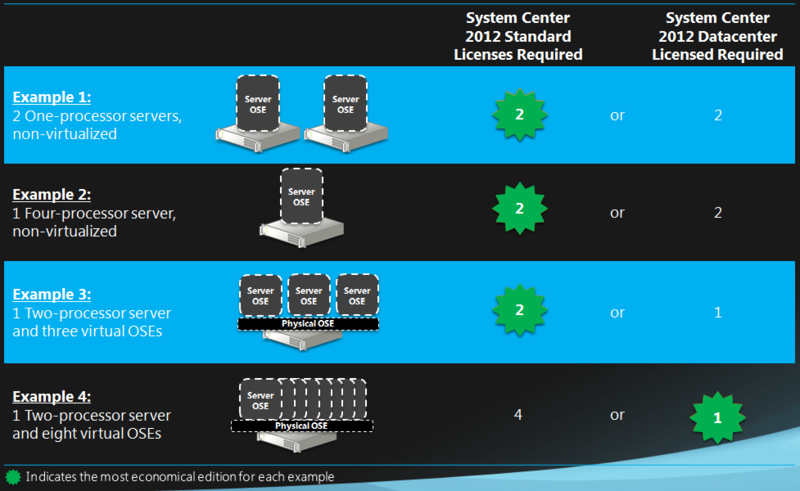 Each single System Center license (Standard or Datacenter) covers 2 processors on the host machine. Datacenter Edition allows unlimited OSEs. Software Assurance is included with all licenses. Client Management licenses are still required for client machines being managed by System Center (non-Server OSEs).